Summer is the time to be outdoors and enjoying everything that sun and nature have to offer. 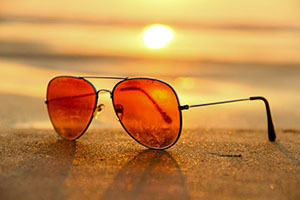 The sunny and warm weather encourages us to be outgoing and take delight in the many activities that the climate offer. Go white-water rafting on your nearest river with rapids. If you are traveling this summer, try out Wyoming’s Jackson Hole Snake River for fantastic white water rafting. Go to Brooklyn’s Coney Island on the 4th of July to see professional competitors duking it out at the Nathan’s Hot Dog Eating Contest. Visit a water park. The most famous one in the US is Water World at Hyland Hills Recreation Center outside Denver Colorado. It boasts over 50 water attractions and slides. If in New England, stop by their factory in Waterbury, Vermont and sample some of the best ice cream at Ben and Jerry’s. Go whale watching off Cape Cod in Massachusetts. Go to baseball game and cheer on your favourite team. In the Midwest? Visit Traverse City, Michigan and catch the famous National Cherry Festival in July. Go to one of the many state fairs and enjoy the variety of foods that a typical of that state’s cuisine. Spend some time with friends at the local fairground which sets itself up during summer, eat cotton candy and take a few rides. Go Scottish: July in North Carolina is the time for Linville Grandfather Mountain Highland Games, where everything Scottish from kilts and bagpipes to haggis is celebrated. Get your friends together and host a barbeque with typical barbecue foods. If you’re old enough why not travel to the July California Wine Festival in beautiful Santa Barbara and do some wine tours, wine and gourmet food tasting. See the Grand Canyon in Arizona by taking a guided mule ride along its most spectacular vantage points.